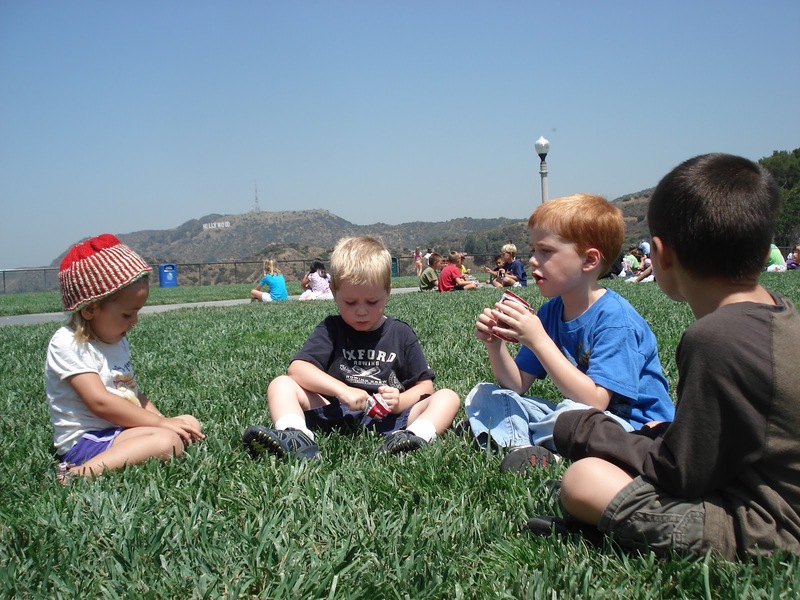 Snacktime under the Hollywood sign. There are those who hike up the hill, those who bike, and those who drive; you can get there any way you want. 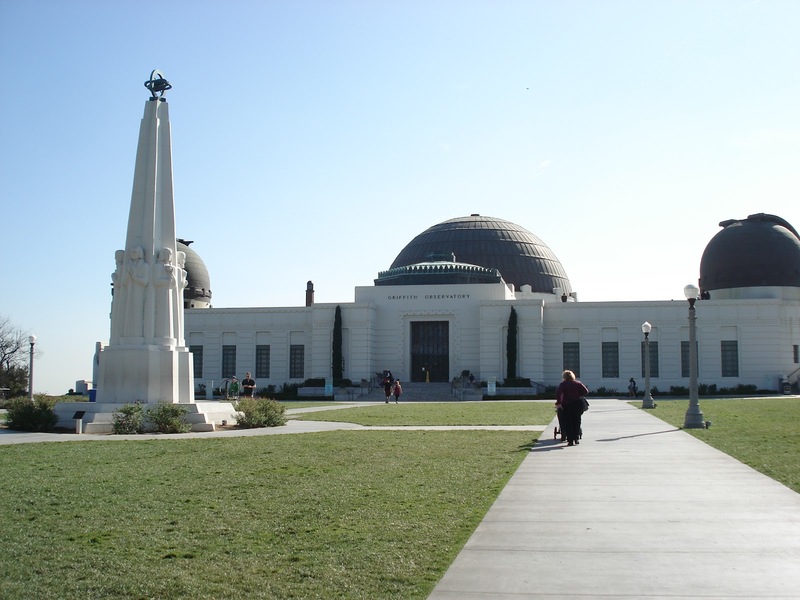 There are those who go for the view of the city, those who want a view of the Hollywood sign, those who pay hommage to James Dean, and those who are actually interested in science; the Griffith Observatory has it all. Since it’s renovation and reopening our family has gone many times and for all the reasons I listed above. 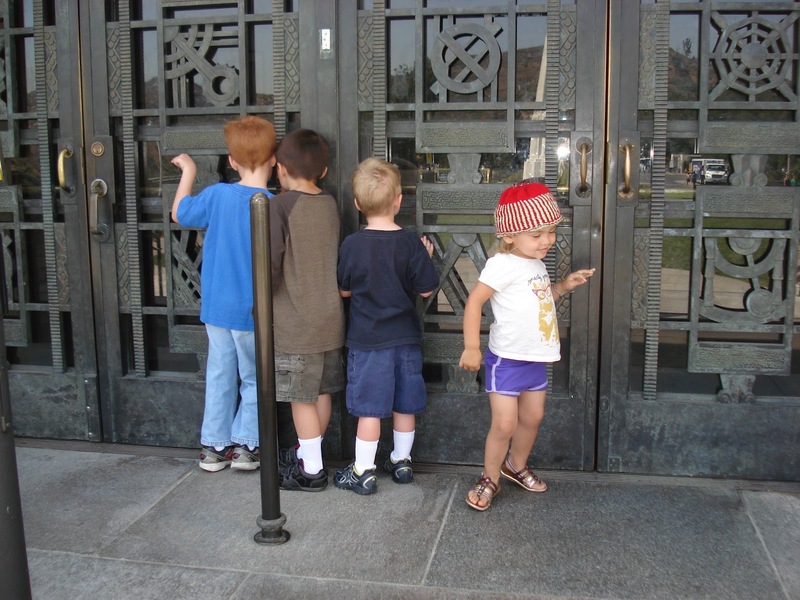 I love the details in the metalwork on the entrance doors! We always arrive before they open so we can enjoy the location, and check out the Observatory from all the outdoor angles. There is a lot to see. 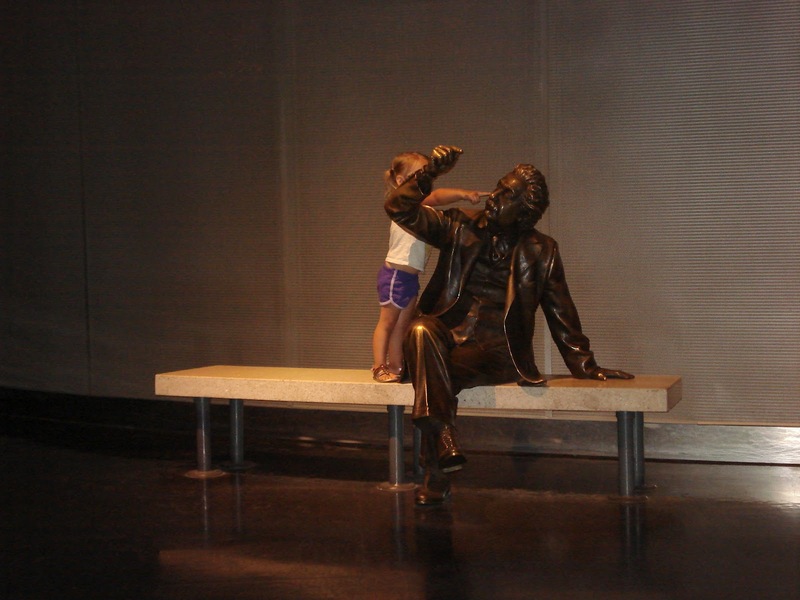 Inside the children (and grownups *ahem*) can take in as much science as they are ready to absorb, beginning with the Focault pendulum and carrying on through the other exhibits. Take in as much as you can and promise yourself to return often. I was always having too much fun to take many pictures on the inside. Take the ramp from the main level to the lower level and, while it serves no scientific purpose, enjoy the Cosmic Connection, a myriad of celestial-themed jewelry on display in a flowing, galaxy-like pattern along the ramp. The lower level is my children’s favourite. It’s the newer section and much more accessible for my children’s interests. They like to see how much they’d weigh on different planets, and whether they can jump heavy enough to cause a blip on the richter scale. 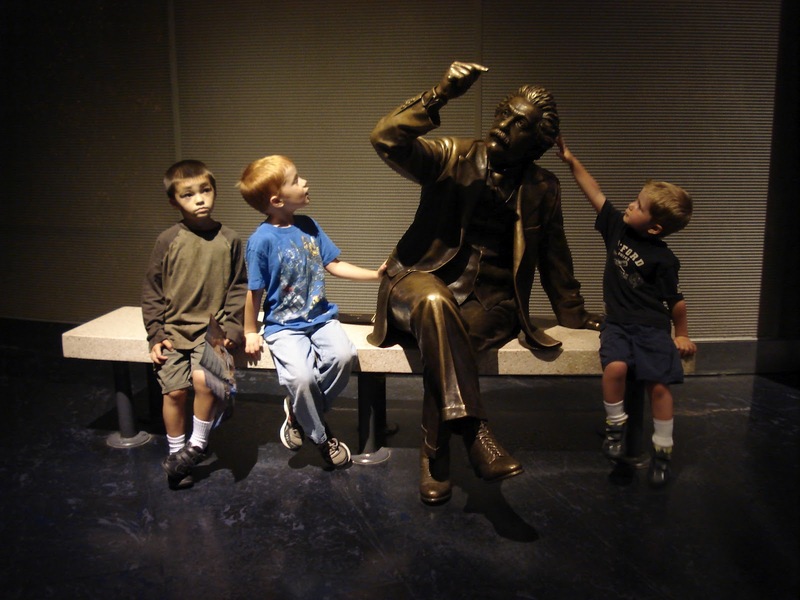 We’ve never done it all, and there’s so much we’ve not yet explored, but we always save time for a tête-à- tête with Einstein. and sometimes you just need to pick his … uhh … brains.